Night Vision equipment provides SWAT Operators with a significant advantage in both mission success and officer safety. A successful NVG program requires selecting appropriate equipment, understanding of their capabilities and limitations, as well as how to develop team SOP's and a NVG training program. This three-day course will cover a systematic approach to equipment selection, use, its limitations and operational considerations through classroom discussions, practical exercises covering interior movement as well open-air operations, live fire range drills and NV weapons qualification course, and scenario-based exercises using marking rounds. Sgt. 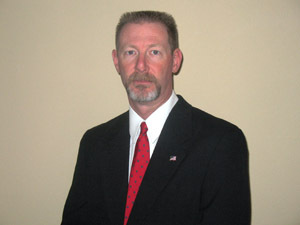 Pat Hickcox (Retired) served 23 years with the Maricopa County Sheriff's Office in Phoenix, AZ. His assignments included; Team Leader of the full time Tactical Operations Unit, Supervisor in a Multi-Agency HIDTA Meth Lab Task Force, Homicide Supervisor and retiring in 2008 as a Class Sergeant at the Basic Training Academy. Pat is a veteran of the U.S. Army and served in Iraq in 2004-2005. He is also a founding board member of the Arizona Tactical Officers Association where he served as treasurer, vice president, and training coordinator.